Family therapy, also known as systemic therapy, is an approach that works with families and those who are in close relationships to foster change. These changes are viewed in terms of the systems of interaction between each person in the family or relationship. Sometimes families and those in relationships get into difficulties due to their differences, or feel the strain when people they care about have troubles. The aim of therapy is to work on these problems by encouraging family members and loved ones to help and empathise with each other and work together to find away forward. It important to give the opportunity to understand and appreciate each other's needs, build on family strengths and ultimately make useful changes in their lives and relationships. Generally family therapists will aim to adopt an approach that does not take sides or blame individuals, it instead engages families in sharing understanding of each other - getting them to focus and discuss the problems that are putting a strain on their relationships. By using this system of interaction, everyone will be given an opportunity to contribute to discussion, family therapy enables family members to explore ways forward that will work for them as a unit. Not all family members need to attend each session, depending on therapy goals. 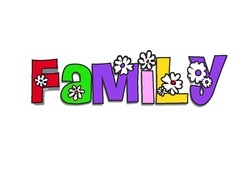 There may be need for individual sessions to supplement the family meetings. In family therapy involving parents and children, therapists may wish to chat with parents separately following family sessions. A session will last approx 50 minutes.